Caramel lovers, rejoice! 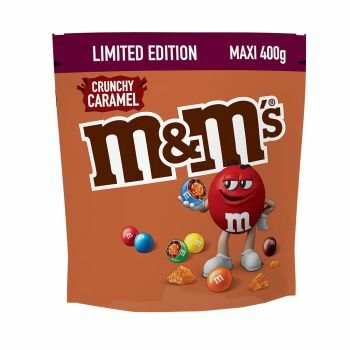 Introducing M&M'S Crunchy Caramel; a crunchy caramel center is covered in rich milk chocolate and coated in a colorful crunchy candy shell.A dream come true for any M&M’s and Caramel lover! This Limited Edition is now available, so lets enjoy it together with friends and family while it lasts.